Τοποθετημένο στην καρδιά της Motobu, το Wisteria Condominium Resort είναι το ιδανικό σημείο από όπου μπορείτε να ανακαλύψετε τη Οκινάβα. Μόνο 100 Km μακριά, αυτό το 3 αστέρων ξενοδοχείο είναι εύκολα προσβάσιμο από το αεροδρόμιο. Με την βολική του τοποθεσία, το ξενοδοχείο προσφέρει εύκολη πρόσβαση στους προορισμούς της πόλης που πρέπει οπωσδήποτε να δείτε. Επωφεληθείτε από ένα πλήθος ασυναγώνιστων υπηρεσιών και ανέσεων σε αυτό το ξενοδοχείο της Οκινάβα. Αυτό το ξενοδοχείο προσφέρει πολυάριθμες εγκαταστάσεις για να ικανοποιήσει ακόμα και τους πιο απαιτητικούς πελάτες του. Όλα τα καταλύματα διαθέτουν τις απαραίτητες ανέσεις για να εξασφαλιστεί μια ασυναγώνιστη αίσθηση απόλαυσης. Εξάλλου, το ξενοδοχείο διοργανώνει πολλά ψυχαγωγικά δρώμενα έτσι ώστε να έχετε πολλά πράγματα να κάνετε κατά τη διαμονή σας. Το Wisteria Condominium Resort είναι μια έξυπνη επιλογή για τους ταξιδιώτες στη Οκινάβα προσφέροντας κάθε φορά μια ήρεμη και ήσυχη διαμονή. Free baby bed. Excellent location! Very clean. Free washing machine and detergent in the room. There is also a kitchen. It could be better if there is an air purifier because all three of us had itchy nose throughout our stay. Everything else was great. Breakfast is simple but tasty. Pick up at the reception at 8am (Only one time-slot is available). Reception close at 7pm so make sure you check in before that time! Thank you for your stay. We are looking forward to seeing you again. Have a nice day. 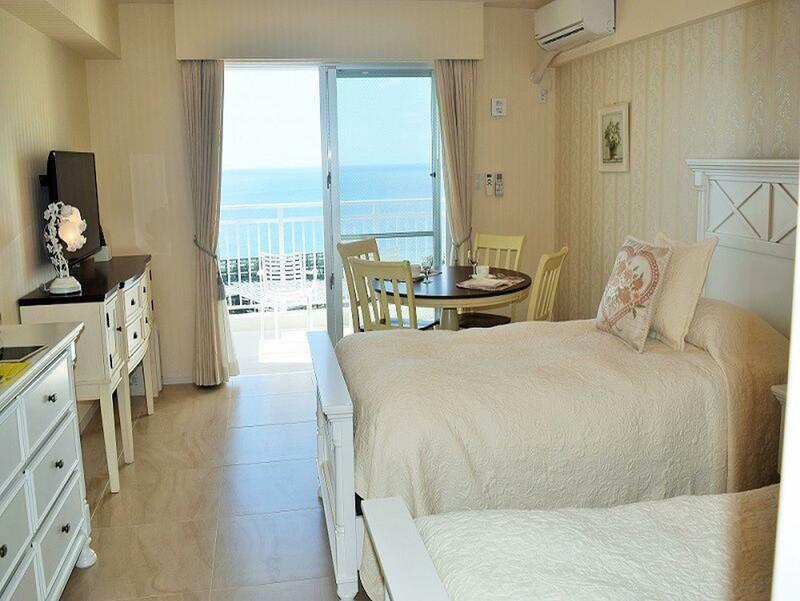 Spacious room with a dining table and a large sea view balcony plus a kitchnette and a laundry machine in the bathroom. Clean, safe and convenient to the Churaumi Aquarium. Free parking and fast WiFi. Breakfast bento preorder available at reception. No noisy tour busses. We'll be back!! This place is relatively new. The staff is very nice and helpful. Room is big, clean and with a balcony that faces the sea. It is near to the Aquarium and Ocean Expo Park. Not many eateries around the place, so having a rental car is preferred. Will stay here again if I do return. Highly recommended. Thank you for your stay. looking forward to seeing you coming again. Have a nice day today. We will go back here in a blink of an eye!! Small resort (about 20 rooms) but surprisingly spacious and cozy room. 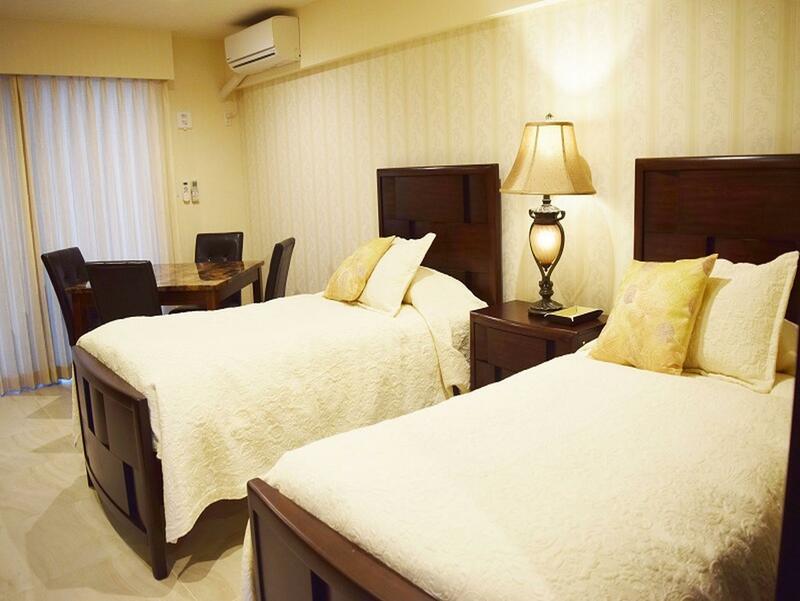 Everything that you need in a home away from home....balcony with a superb view, dining table, washer w/all sorts of hanger accessories, fully equipped kitchenette (except for knife which you have to loan from frontdesk)....all these on top of your usual room set-up. And a very helpful Frontdesk manager. Nearest convenience store (Lawson or Family Mart) is about 2km away if you need to stock up. Thank you for your stay. I sincerely appreciate the high evaluation. And I'm very happy with the nice comments. We will strive to improve the service so that customers will be glad in the future. We are looking forward to seeing you again. Everything was good. I and wife were especially enjoy the convenience cooking and comfortable dinning environment in condo. 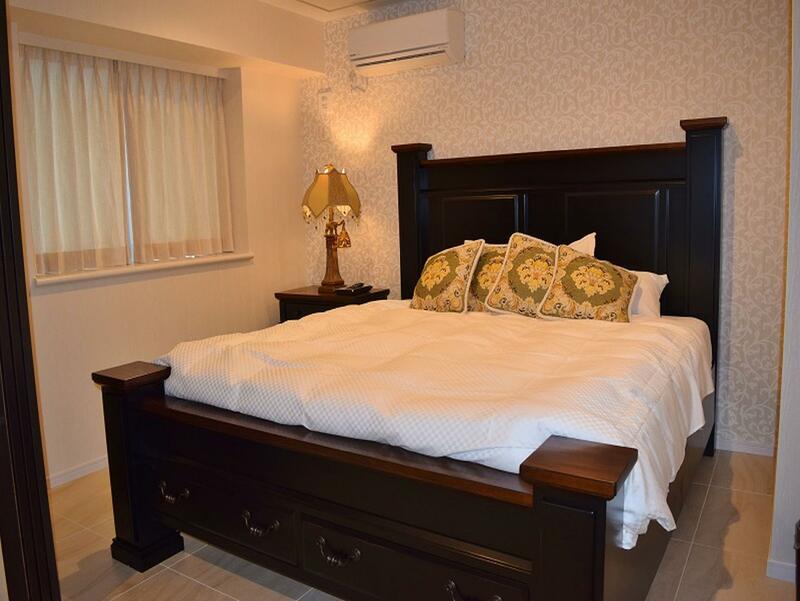 Comfortable bed, close to Expo Park and some restaurants, but that's about it. Good view of the sea if weather had been good. Just beside the aquarium and ocean. Very convenient and nice view. Thank you for your stay. We are looking forward to seeing you again. Have a good day. 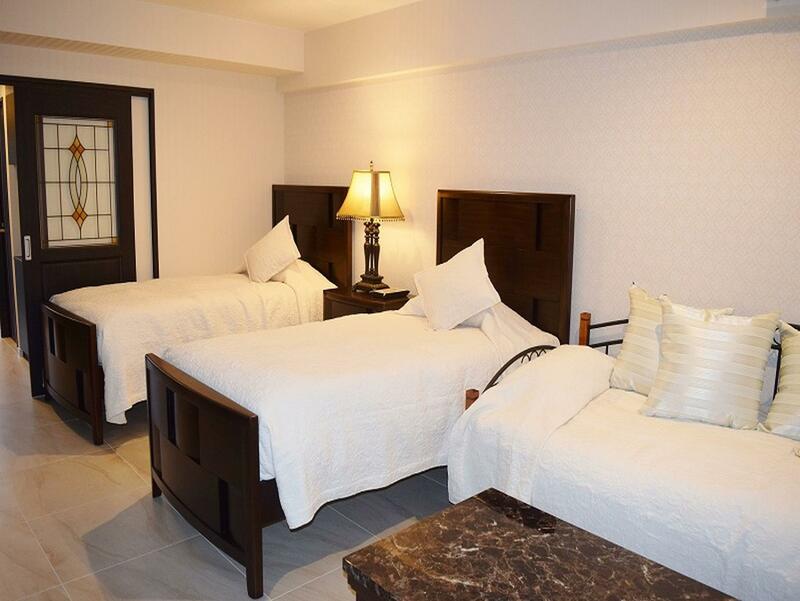 Nice ocean view, clear faculties, the place is right close to the aquarium. Recommended! 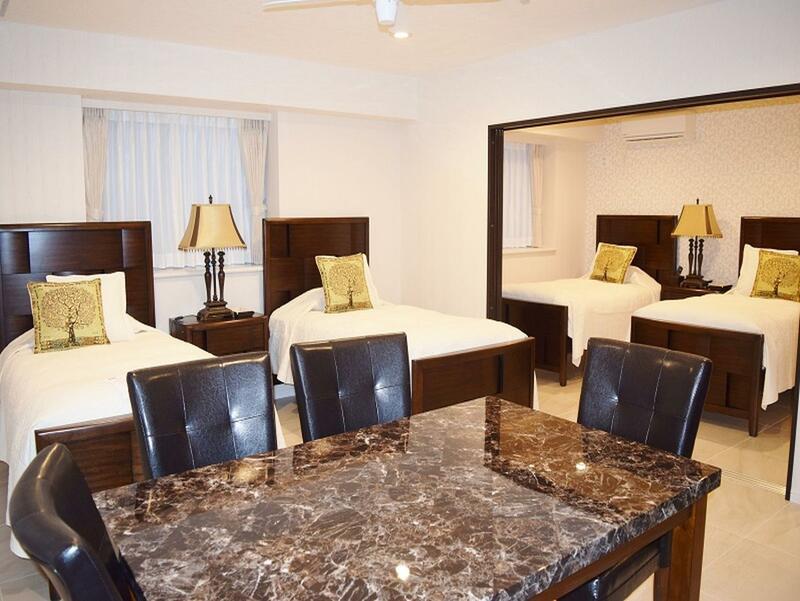 Very big apartment style room with kitchen amenities. Great scenery at the balcony. Easy to find location beside Tropical Dream Center, just look out for the tower. I truly enjoyed my stay at Wisteria. The room view is fantastic and the staff are very friendly. Highly recommended! Thank you for your stay. I sincerely appreciate the high evaluation. I'm very happy with the words "friendly staff". looking forward to seeing you coming again. Staff were nice. I got really sick so I had to went back to the hotel asking pain killer and they gave me pills and it was really kind. Location is okay, the view from the hotel was beautiful, room was spacious, worth staying!! Clean room, got everything in it. Air fresher, dish washer, rice cooker, air con, TV, kettle, fridge, Very clean and spacious. Nice shower and toilet. Staffs were excellent and I had a problem with my car (out of batter) talked to rental car for us and drove us to port and picked us up. Even booked snorkel session for us. Best ever! Thank you for your stay. We are looking forward to seeing you again. I wish you a wonderful day today. Not much to eat around here but they had a fantastic kitchen to utilize. (Some oil and salt, cooking essentials would be nice. Travelers don’t bring these things along). Downside is not much grocery shopping you can do in the aquarium area so best you plan ahead and do your purchase in Nago. Huge space, lovely view. However not sure what to do with trash because they didn’t have a bin on each floor . Thank you for your stay. We appreciate being blessed with the beauty of the scenery. Regarding garbage, I tell you to collect it when I tell it at the front desk. It seems that guidance to the customer was not able to be done, I am sorry. In the future, we will strive to improve services such as garbage disposal, guidance when using facilities. Beautiful scene and it is an easy 10 min walk to OCEAN EXPO PARK. Nice view! Spacious! Good service! Thank you for waited us to check in til 9pm to check in! Stunning view. Very close to the aquarium and Emerald Beach. The hotel reception and the restaurants nearby close quite early though. I sincerely appreciate the high evaluation. We are looking forward to seeing you again. TV is not in front of the bed. It would be better if it's adjustable. Good location, Free parking and clean. Perfect!